The footage shocked Germany and went viral. 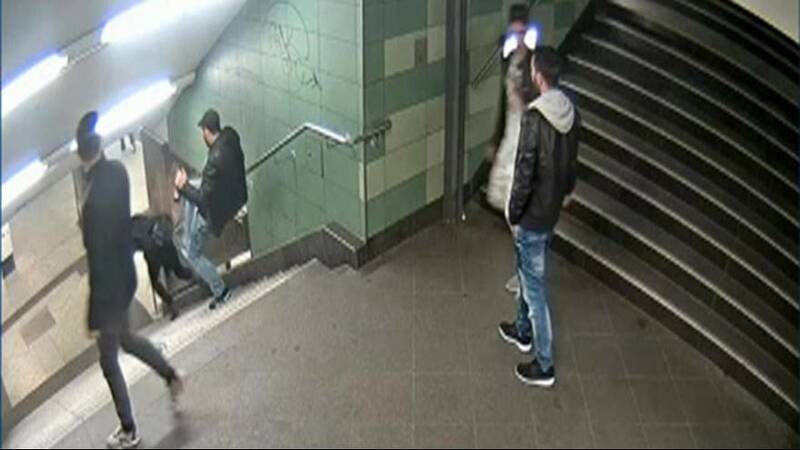 CCTV cameras caught a man kicking a woman down some stairs at a Berlin metro station in an unprovoked attack. Police had released the video in a bid to get public help to track down the attacker. Now a 28-year-old man – known only as Svetoslav S – has been jailed for nearly three years for grievous bodily harm. The footage shows Svetoslav S, with beer bottle in hand, approach the unsuspecting woman from behind, before kicking her in the back, sending her flying forward. The victim suffered a broken arm and wound to the head. During his trial, the 28-year-old Bulgarian had admitted kicking the woman down the stairs but had not remembered anything until police released the CCTV footage. On the night of the attack he had taken a cocktail of drugs: alcohol, marijuana, cocaine and crystal meth, Süddeutsche Zeitung reports.